Sunflare- This colorway was hard to photograph, the mixes of different depths of orange were hard to get adequately photographed. This is meant to represent the flashes of light to come off of the sun. All of my yarns are hand dyed and every batch is one-of-a-kind. 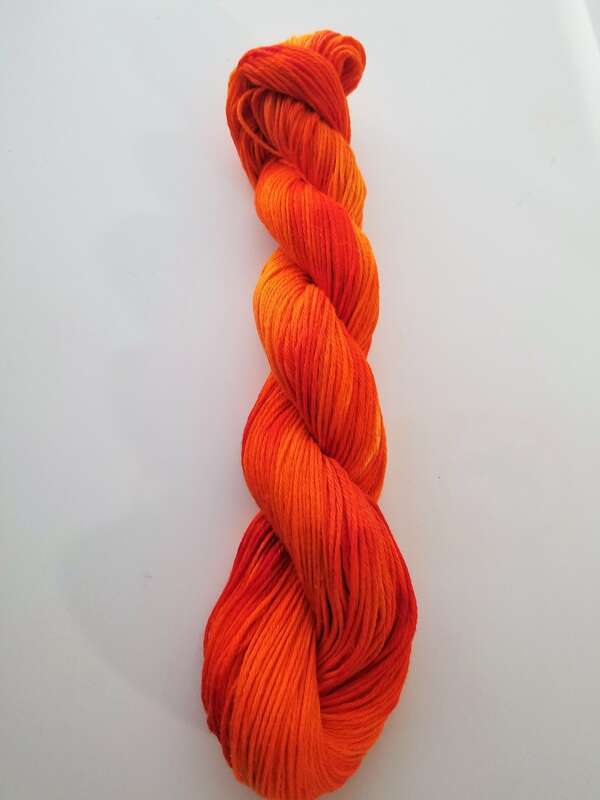 Please make sure you purchase enough skeins to finish your project, as future listings of the same colorway will inevitably look a bit different. 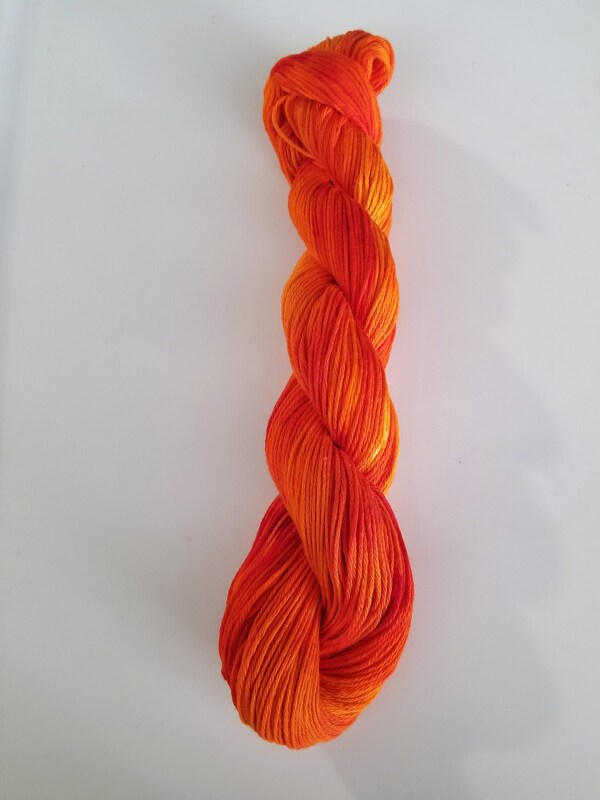 As with any hand dyed yarn, please expect minor imperfections and some variation from skein to skein (even within the same batch), as each skein is individually hand painted. I use professional fiber reactive dyes on all of my cotton yarns. These dyes actually bond to the fibers of the yarn, making the final product extremely colorfast and fade-resistant. After dying, all cotton yarns are washed with special detergent and then rinsed several times. I do my best to wash all excess dye out of my yarns, but it's always possible for any yarn (hand dyed or mass produced) to unexpectedly bleed color later when washed, or "crock" (react with the user's skin causing staining during use). If you are planning to mix this yarn with other colors in a project, I strongly recommend doing a test swatch first. If you experience major color bleeding or other problems with any of my yarns, please let me know! 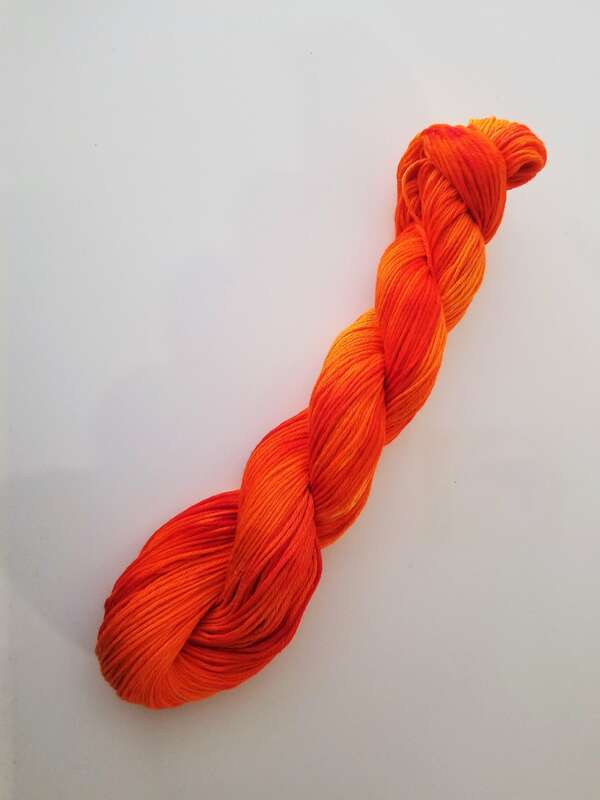 Need a larger number of skeins or a different yarn base for your project? Send me a message! I'm always happy to do custom orders! *** Please be aware that all of my pictures are taken in natural light typically outdoors to show the truest brightest depiction of the skein. The skeins may appear dull or muddied in indoor lighting, please check the skein in natural light to compare to pictures in the listing before leaving a negative review or feel free to contact me directly with any concerns. *** Please be advised that colors may vary from screen to screen and may not appear the same to everyone. *** I am a one person business, please understand that I work alone and work very hard to complete orders in a timely manner. 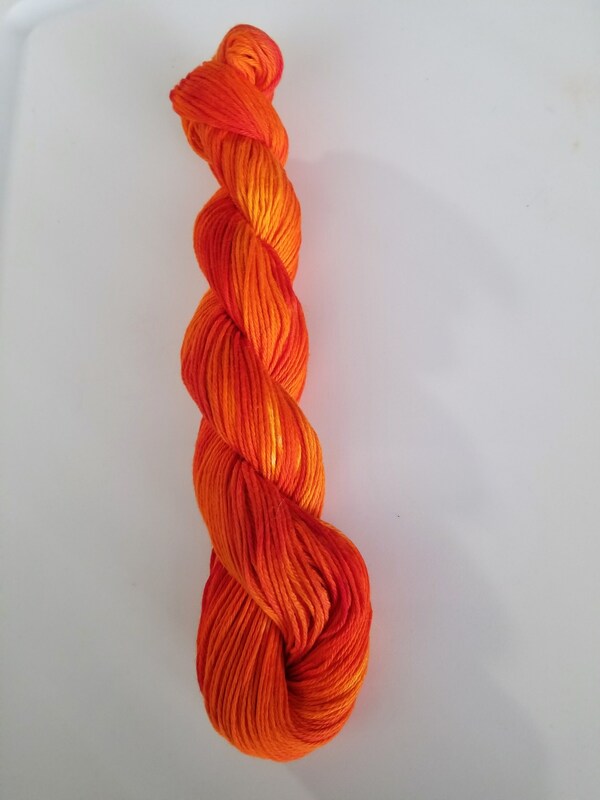 I also make every attempt possible to replicate each colorway exactly as it is seen in the listing pictures, with that being said these are all hand dyed skeins and some variations are to be expected.